Huge Thanks to FabFitFun for the Shout Out! 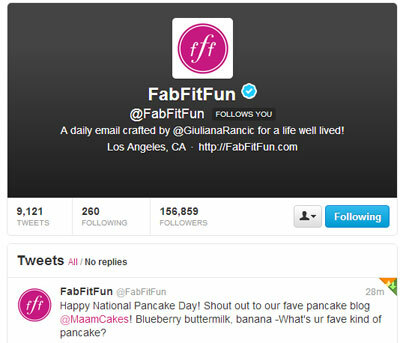 Big thank you to FabFitFun for wishing Ma’amCakes a Happy National Pancake Day! Honored to be your fave pancake blogger!